Prepared voice with accordion. Voice with alfoil, slide whistles, paper, paper, de-constructed accordion parts, multiphonics, harmonics. The accordion is slapped and shaken. 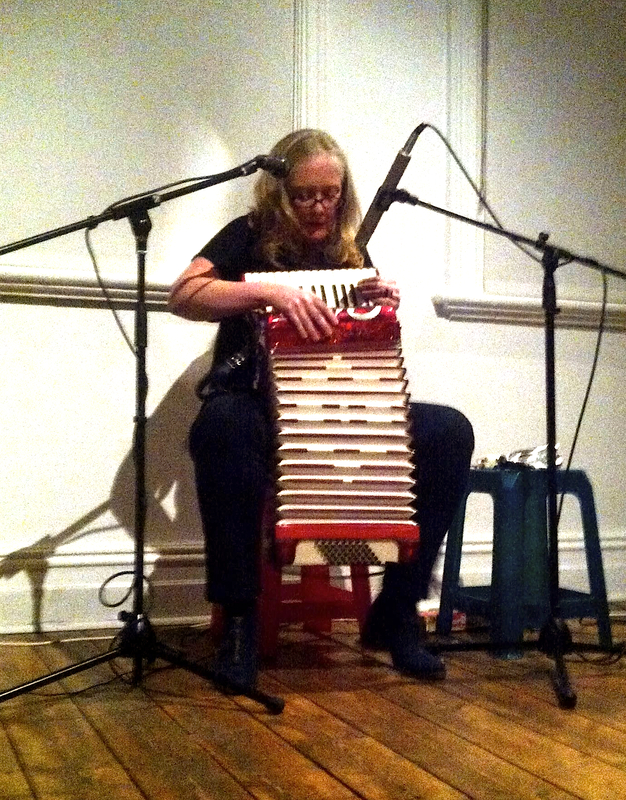 Composition is constructed through improvisation as the body extends to include the accordion. Each performance is a new movement. Pitcher has been performed in Melbourne at Grant Street, AVANTWHATEVER, La Mama Musica, Gertrude Contemporary, Conduit Arts, The Empress Hotel, and Northcote Uniting Church.